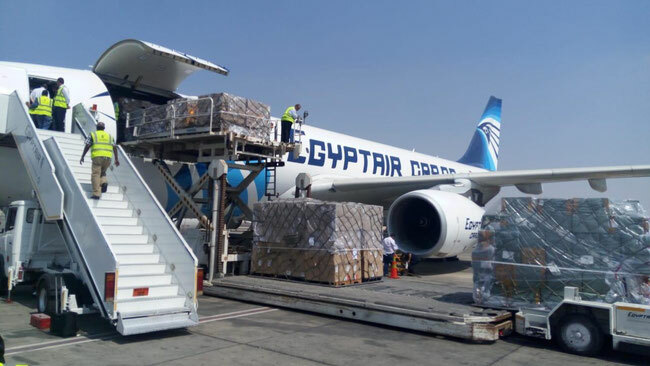 Beginning March 3, the Egyptian freight carrier offers weekly cargo flights between its European hub Cologne-Bonn and Johannesburg, departing on Sundays. As of April, a second flight will follow, operated every Thursday. 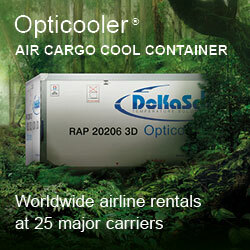 “We have been waiting a long time for a cargo carrier to announce flights taking from the highly industrialized Rhineland area to Johannesburg in South Africa,” stated Bernhard Stock, Emo Trans Director Air Freight Germany and Global Network when being informed about the new capacity offering. 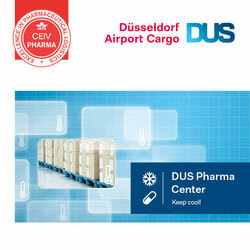 His company runs an office in Dusseldorf, 40 kilometers away from CGN, responsible for EMO’s air and ocean freight business in the western parts of Germany. Soon, Herr Stock’s hopes will be fulfilled. As Egyptair Cargo announced, they intend operating an Airbus A330P2F aircraft on the new sector, converted from passenger to cargo configuration at Dresden, Germany-based Elbe Flugzeugwerke and capable of loading 59 tons per flight. Currently, two A330P2Fs belong to the fleet of the carrier with a third freighter of the same type expected to arrive next June. On their way to Johannesburg, the aircraft will make a short stop over at their home base Cairo, and then continue onto JNB. The intermediate stop at CAI applies to the return flights as well. According to the carrier’s cargo manager Germany, Khaled Youssef, mainly standard freight, machinery, equipment and devices will travel southbound. Northbound it will be mostly fruit, vegetables, some machinery, garments, and consumer goods loaded on the main decks. He stresses that his airline’s Ostend freighter flights are not influenced by the new CGN-CAI-JNB routing. They will continue to be operated three or four times each week. Managing director Hassaan Aglan of Egyptair Cargo’s Germany general sales agent Skyline Air Services adds to this that at Cairo the Jo’burg flight will be connected to three other new African destinations served by Egyptair Cargo: Lagos (LOS), N'Djamena (NDJ) and Khartoum (KRT). “This way we can also sell freight transports from Germany to these specific African sub-markets,” emphasizes the manager. Mr Aglan mentions another relevant aspect: At Cologne some of the goods destined to North America can be transferred to the B767 freighters of Canadian carrier Cargojet that also land at the German airport. This interlinking of flights can trigger a new supply chain with cargo shipments flying both ways. Helpful in this respect is the fact that Skyline is also the GSA of the Canadian capacity provider. I used work on to freighter ?? ?